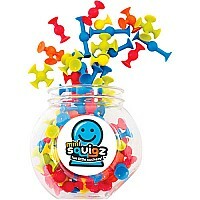 Mini Squigz may be tiny, but their building fun is MIGHTY! 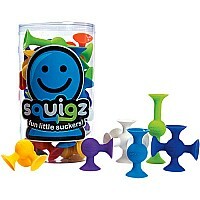 These new members of the Squigz family are 40% smaller, packed with 75 pieces, and designed with the addition of a new shape and new colors. Stick them to any flat surface you can imagine. Build them up, out, sideways, around, and any which way you can think of. 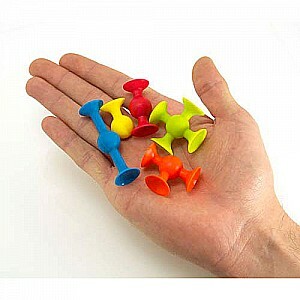 Just like before, they always stick strong and never leave behind any residue. 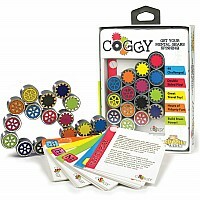 From Fat Brain Toy Co, for ages 5-7 yrs.